An enjoyable puzzler with repeat factor as every play board is different. If you can’t find someone to play scrabble with, then try this for your wordy fix. It’s also a fun way for children to try to learn new words. Black Lantern Studios (Nintendo DS). PopCap is the developer behind the classic Plants vs. Zombies. 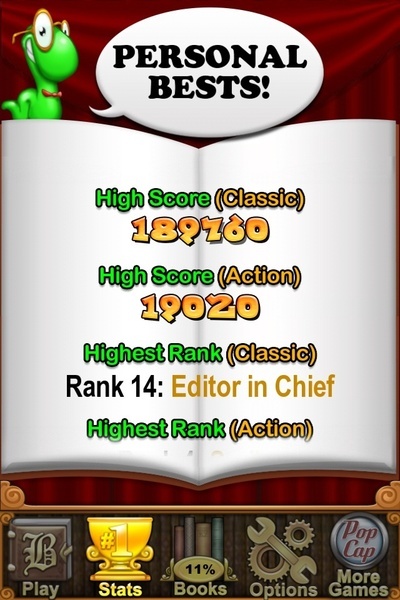 This game is more a casual, dip in and out game than PvZ’s progressive arcade game, but it’s still fun. 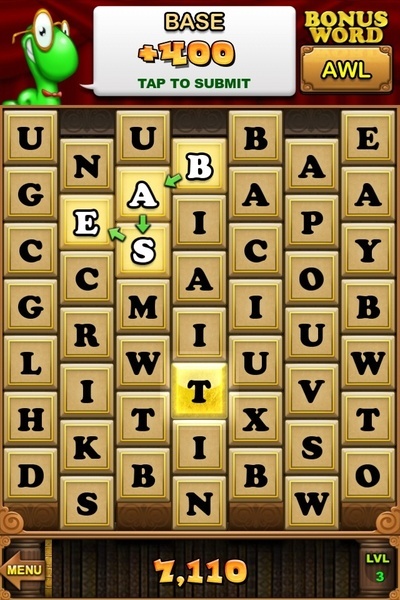 Bookworm is a word-based puzzler that offers a quick fix to any word game addicts out there. It’s fast and immediate, but like many of these games, can get repetitive. It tries to liven things up with some internal challenges, like finding a specific word or finding a full set of a type of word. While these do add interest to the game I didn’t find I was addicted enough to complete all of my sets. 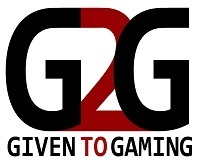 The game has 2 modes: Classic and Arcade. 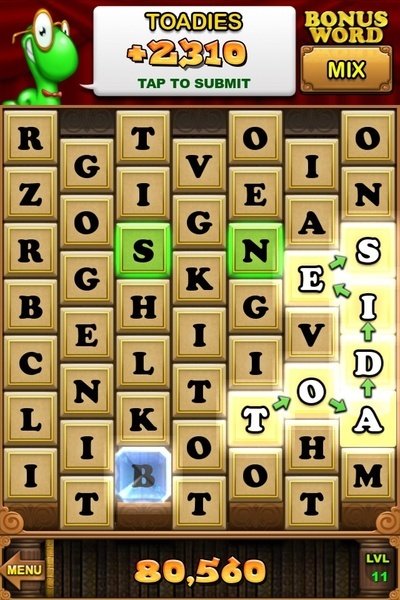 In Classic, you’ll have an unlimited time to form words, which makes it ideal for those who really want to challenge themselves to set up and then pick the longest word possible. 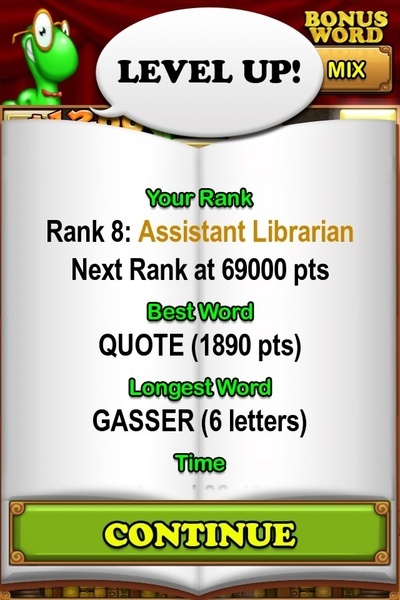 Occasionally the game will offer a definition for a word, presumably one that it thinks is a little more obscure. These are often not obscure at all, which is a small point of amusement. 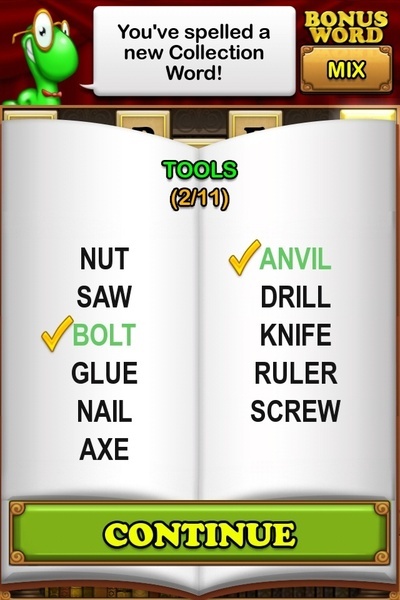 There are also sets of words to collect like utensils, animals, and tools. These add a bit more fun to the game. This is an entertaining puzzler, but it's not as addictive as some words games are, and without a multi-player mode there isn't the competition element to keep hooking you back in.